The contribution to AR5 of Working Group I (WGI), approved in Stockholm, September 2013, referred to geoengineering techniques, including so-called solar radiation management (SRM) and carbon dioxide removal (CDR), but stopped short of endorsing them. While acknowledging the related uncertainties, limitations, likely negative side-effects and long-term global consequences, WGI speculated that “a large net removal of CO2 from the atmosphere over a sustained period” (i.e., CDR) could make reversing a large fraction of anthropogenic climate change possible and that SRM methods – “if realizable” – could offset a global temperature rise. 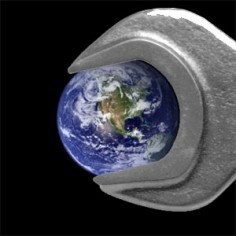 The inclusion of SRM in WGI’s Summary for Policymakers, under last-minute pressure from Russia, suggested to the established science press “that the controversial area is now firmly on the scientific agenda.” Further, geoengineering advocates interpreted the inclusion of CDR and SRM as “a reflection of growing governmental interest.” As a Guardian essay noted: “To include mention of geoengineering, and its supporting ‘evidence’ in a statement of scientific consensus, no matter how layered with caveats, is extraordinary.” According to latest reports, WGII (Adaptation) and WGIII (Mitigation) may also address geoengineering in their AR5 contributions to be released in March and April, respectively. Geoengineering refers to a set of proposed techniques to intervene in and alter earth systems on a large-scale –particularly climate system manipulations as a ‘technofix’ for climate change. These manipulations may include so-called solar radiation management (SRM) as well as other earth system interventions. Geoengineering can be land-based interventions or interventions in the oceans or in the atmosphere. The release of the AR5 contributions of WGs II and III is an opportune moment to urge the IPCC to protect its credibility as a policy-neutral body and to remind the Panel, as the source of scientific information to the UN Framework Convention on Climate Change, of the Framework’s objective: “The ultimate objective… is to achieve… stabilization of greenhouse gas concentrations in the atmosphere at a level that would prevent dangerous anthropogenic interference with the climate system.” (Article 2, emphasis added) By scientific accounts (see below), geoengineering will amount to “dangerous anthropogenic interference with the climate system.” The IPCC should take care not to imply an acceptance of geoengineering techniques or to subvert – even inadvertently – the Objective of the Climate Convention. At the COP10 of the Convention on Biological Diversity (CBD, 2010), a landmark Decision [X/33 8 (w)] established a de facto moratorium on geoengineering activities that may affect biodiversity. The CBD COP11 wisely reaffirmed the moratorium (Decision XI/20). Nevertheless, some private actors continue to see geoengineering as a quick, cheap and potentially unilateral ‘techno-fix,’ and high-carbon governments see a strategy for sidestepping their historic mitigation and adaptation obligations to the international community. As a result, some governments are increasingly sanguine toward geoengineering and seemingly open to experiments in open air. Meanwhile, evidence continues to mount that geoengineering is too risky to contemplate. Parties to the IMO’s London Protocol on Ocean Dumping agreed LP.4(8), establishing a legally-binding ban on ocean fertilization activities other than ‘legitimate scientific research,’ and a legal framework for other marine geoengineering activities, including scientific research. Despite the de facto moratorium, plans to test so-called SRM technologies are proceeding (e.g., David Keith of Harvard University to test sulphate aerosols and the ‘Silver Lining Project’ in California to test cloud whitening). J. Ferraro et al. (2014), “Weakened tropical circulation and reduced precipitation in response to geoengineering,” Environ. Res. Lett. 9 014001: concludes “geoengineering with stratospheric sulfate aerosol does not mitigate the weakening of [tropical] circulation” projected with anthropogenic global warming.